I was born with naturally big eyebrows and started to feel self-conscious about them when I entered middle school. Sometime during the summer of 7th grade tweezers came into my life and I slowly started plucking away. For the most part I never over-plucked and even if I did my eyebrows would luckily always grow back so I could re-shape them. It wasn’t until a couple of years ago that I realized I loved a bit of a thicker brow and even started filling in my eyebrows. Eyebrows are one of the most important features of our faces and are sometime the most neglected. In my opinion, a good eyebrow can complete a makeup look whether you are going for a simpler look or something more extravagant. I’ve tried several brow pencils, shadows, and gels over the last couple of years and really love this simple and efficient BillionDollar Brows Kit! You can pick one up at your local Kohl’s for only $34.99 (a $68 retail value) and it comes with everything you need to give your eye brows that wow factor! When it comes to makeup, I almost always buy high end makeup so $34.99 sounds like a great deal for even just the universal brow pencil and brow gel compared to what I have been using. 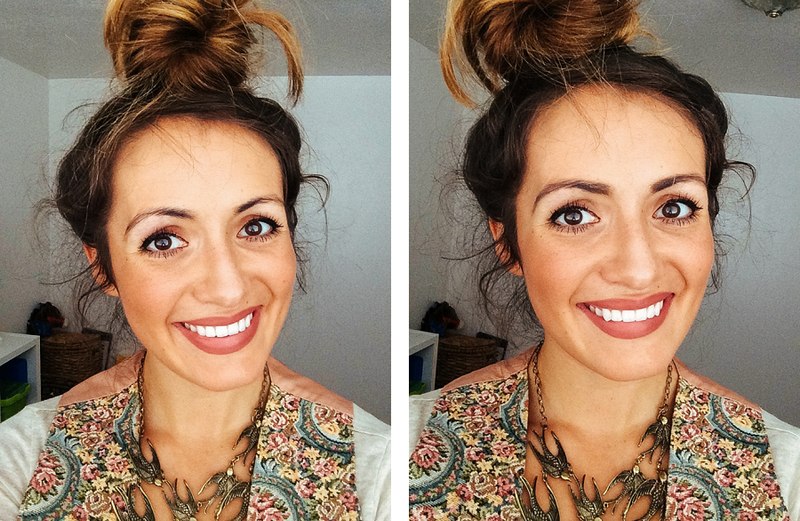 So without further ado, here’s how you can makeover your brows in 4 easy steps. I absolutely love the eyebrow gel and it is just as good if not better than my eyebrow gel I have been using daily for the last year. I love eyebrow gel since it keeps your eyebrows in place all day. I love using this first so that my eyebrows are exactly where I want them before I start filling them in. This was my first time using a product like this. In the past I have always used a light colored eye shadow right until my brow in order to make it stand out even more. I added this right under my eyebrow like I normally add my eye shadow and smudged it with my smudge brush in order to blend it in perfectly. I used a little bit of the concealer under my eyes and for touch ups during the day. At first I was a little skeptical that this pencil would work since it said it was universal, however to my pleasant surprise this pencil is the perfect shade of brown! It isn’t too dark doesn’t appear fake like cheaper pencils I’ve used in the past and stays on all day. Just depending on your hair color and skin tone you may apply more or less than what I did. I like my eyebrows looking as natural as possible. 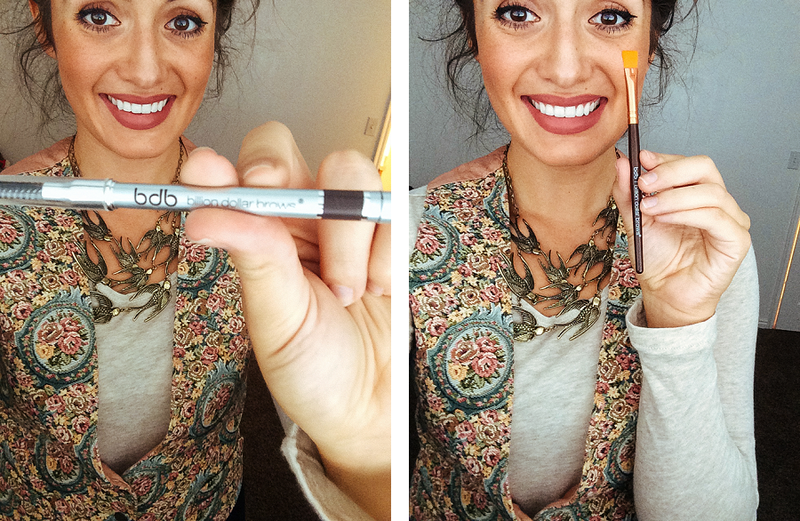 I used the BDB Smudge Brush both with the highlighter and even to smudge and blend the BDB Universal Brow Pencil. The smudge brush made shaping and blending my eye brows so simple. Overall I’m very impressed with the kit and it is just as good if not better than the higher end makeup I have been using on my brows. I honestly don’t really know what I’m doing with the highlighter and concealer but am sure over time I will get better each time I use it. This kit will easily last me at least 6 months and $34.99 is a steal for such great results. 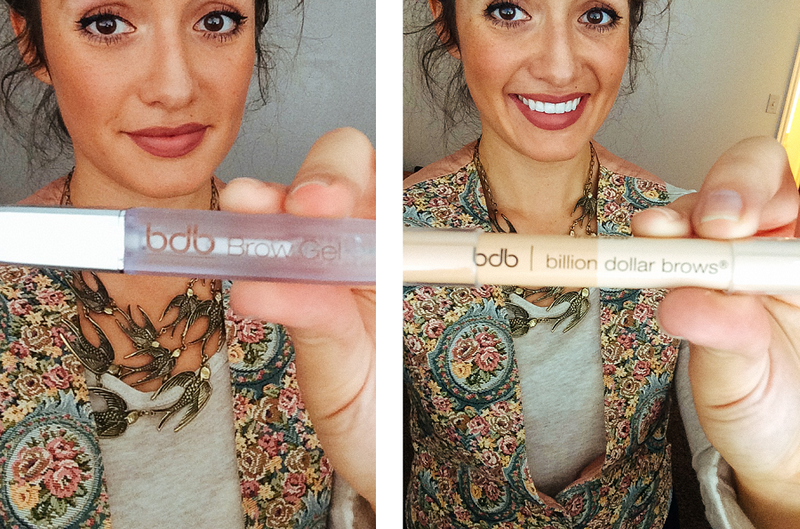 BillionDollar Brows Best Seller Kit is now available to purchase online at Kohls. If shopping in store, call in and make sure your local Kohl’s has it in stock.